Welcome to The Writer's Almanac Bookshelf, where you'll find highlighted interviews of poets heard on the show. 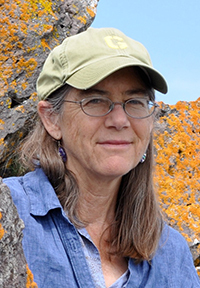 Connie Wanek is the author of four books of poetry, including her latest, Rival Gardens: New and Selected Poems (2016). She is also the author of a book of prose called Summer Cars, published in 2014 by Will o’ the Wisp Books. 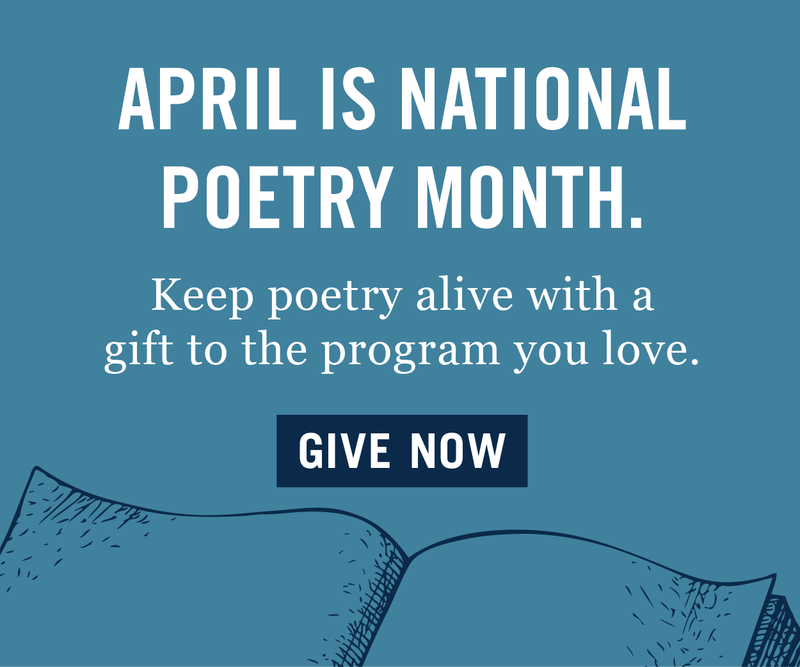 She recently took the time to speak with us at The Writer’s Almanac as we celebrate National Poetry Month. You were born in Madison, Wisconsin — the second of sixth children. Can you please tell us about your childhood, the sights and other sensory sensations that remain vivid in your memory? You were an avid tennis player, correct? When I was a child I lived on what remained of an old farm after the land was sold off, five acres and a hand-built house and barn, outside Green Bay, near Duck Creek and the stone Catholic church with creaky wood floors where we went every Sunday, back when Mass was in mysterious Latin. It was always winter in that church, people tracking in the snow, coughing and stomping and crossing themselves. Our school was a rural one-room structure, Highline Elementary (it burned down long ago), with 17 students total, grades one through eight, taught by a single overwhelmed teacher. When she quit, we didn’t have school for several months! I was almost 11 when we moved to a Wisconsin village, Verona, where my mother’s mother lived, and where I finally went to an ordinary elementary school. I was very shy — and desperately behind in math. I suppose I never did catch up. The farm, as we called it, smelled like ponies (I talked my dad into buying several, since we had the big barn) and also faintly like the sulfur of smashed ancient chicken eggs around the pump house where the coop had been. The barn loft, up the wooden ladder and through a square hole, was a cathedral, though it still had old piles of hay, and light came streaming through cracks in the boards, through the knotholes, burning the dust motes. They were like those floaters in your eyes, wandering somewhat out of your control, but you could affect them with a wave of your hand. I might have been more religious if they had held Mass in the hayloft. I didn’t start playing tennis until we moved to Las Cruces, New Mexico, when I was going into seventh grade. I loved running madly and hitting the ball as hard as I could, but I never liked keeping score or playing matches. I have a line in a poem: “You never had to crush me and I never had to cheat.” That’s my idea of how sports should be played. That would eliminate a whole lot of our culture, however, and I recognize I am the anomaly. When did you leave home for the first time? It could have been summer camp or a larger time, like leaving for college. Where do you consider “home”? I’ve read that you relocated several times growing up. I wonder if “home” is more about people or more about place. The first time I ever left home was right after high school. I drove alone up to Denver for the summer, found a job as a clerk at a 7-Eleven convenience store, found an apartment after sleeping in the car for a few nights, and stayed alive. I’m sure I missed my parents far more than they missed me. There were six of us kids, after all. At the end of August, I went home to Las Cruces to start college at New Mexico State, and I remember driving all night from Denver, desperate to get home, and then when I arrived in the morning, just sitting in the parking area with the several other sleeping cars that so many family drivers seemed to require, and crying. I could cry right now, honestly, but that’s what it’s like to get old and miss those faraway years and times. Home is where my people are. I’m trying to be near them these days, but they refuse to stay put! If home is also a place, though, for me that place is Duluth, Minnesota. I lived there more than 25 years, raised my kids there, worked at the library, worshipped the lake, wandered around Hartley Field, and felt part of the tribe of writers and artists and wilderness lovers who also call Duluth home. That’s a poem that really should be read again in today’s political climate. I would say that Mary, in the poem, has the voice we need right now. I love it so much. I suppose I’ve written little poems and stories since I knew my name was Connie, since I could tie my shoes. But writing seriously … that was in college, when I gave up on being a visual artist. I really didn’t have the talent for that. As far as trying to publish, that would have been when my kids were older and I was in my late 30s, in Duluth, and I could carve out a few hours in the morning, before anyone was up, to write. Trying to publish seemed like the next step, once I had some poems I thought were worthy. Phil, my husband, and I were close friends with Louis and Ann Jenkins (still are) and Louis provided a model for me in many ways as a poet who really devoted his soul to his work. Have you had any unusual jobs? I don’t think so. They all seemed rather obviously designed to provide a little income, though working at the Mount Royal library in Duluth was most meaningful to me. I think lucky people are those who are truly interested in their jobs, so it doesn’t feel as though they are trading their lives for the money required to stay off the street and out of debt. What is the one thing that should be part of a writer’s routine, in your opinion? Is there something you wish you’d been told when you were first starting out? I think it was hard for me to learn patience, in pretty much every area of my life, but especially my writing. Revision was very hard. How could I light a fire again when all the kindling and logs had burned to ash? For me, and perhaps for others, too, it’s important to be able to set something you’ve just written aside for a time, a few hours, a few months or years (ha! ), then look at it again with dispassion. In writing, as in life, one’s errors are clearer in retrospect. Your poetry has been praised by the likes of Maxine Kumin, Bart Sutter, Linda Pastan, and Joyce Sutphen, to name a few. Who are the poets that have shaped and influenced you? It would impossible to name them all. I also learn from work I don’t particularly like, as well as from other genres. It’s clear that I gravitate toward the natural image and clear language, both as reader and writer. The poets you named certainly are invaluable to me. I am constantly amazed by the number of wonderful poets we have, our literary riches. I know I learned the most, though, from my closest friends, which makes perfect sense to me, and from Phil, my husband, who is a great reader. Also, I would like to say here that the selections and the historical background on The Writer’s Almanac are a daily joy. Many mornings give me marvelous poems from people I’ve never heard of, which illustrates the beauty and breadth of our literary landscape. What matters most to you in a poem? I want to be touched, to feel a kinship. Dylan Thomas says that in the end, “You’re back with the mystery of having been moved by words.” Yes, I want to be moved by words. I was so moved by this. When I read your poems, there is such life in them. I’ve read well-crafted poems from students/graduates of MFA programs, but they sometimes feel rarefied or removed from the common daily minutiae that make poems relatable and inspiring in the first place. So many today are on the straight path to an MFA — poetry in particular. Is it valuable to sit in a classroom and study form, aesthetics, and devices for extended periods of time? Or is it just as important, perhaps more so, to simply get outside — observe — write by living foremost? Perhaps there is a middle ground. I wonder how a waitress or a mailman or a veterinary assistant with some good poems under his/her belt could best approach getting their work published. I’d like to believe they are out there, writing in little notebooks or on iPads at the end of a shift. First, thank you for these incredibly kind words. I am so grateful to Ted Kooser also. He has been a model for me in many ways — he is certainly one of our finest poets. I worked on an MA in English as a teaching assistant, and I think it was great fun (as well as a job), but I never felt there was a future for me in academia. Why? The numbers were against me: at least 1,000 applicants for every position in an English Department back in the late ’70s. So be it. I think it’s lovely that there are many university programs that encourage and teach creative writing, whether it leads to a job or not. I think when we are young writers, we imitate, in the great tradition of apprentices of all sorts. Finally it’s your own life, the particularity of it, that shapes “your voice.” You are exactly right when you say that looking out at the world is crucial. We learn that as we mature. I think I drifted quite a bit in my life, took many paths of least resistance. I wouldn’t call that a virtue, though. I did the work at hand as well as I could. Poetry is a big house, and there are rooms dedicated to many different kinds of poetry. There’s a room for the kind I like to read and write; there are rooms for a wide range of approaches. We should feel free when we try to write, I think. Unconstrained by what we have done before, and what anyone has done before, for that matter. A former poet laureate of Wisconsin, Max Garland, used to be a mailman in Kentucky. It’s not easy to break into publishing, now or ever, but I think the best approach is to start with the small literary magazines, online or print, in your area, and maybe to join a writing group. A lot of people find that to be very encouraging, and certainly at least one good reader is crucial to every writer. Can you tell us about your poem “Girdle” from Rival Gardens? It was featured on TWA in March. I laughed out loud after reading it. I have written a lot of “object” poems, and that’s how this poem started. Focus on an object and see where it leads. I thought … hmmm, a series of poems on women’s undergarments … but this is as far as I got. There’s a line about a heaven for pets in this poem, and I want to say I believe that, if there’s a heaven for people, there’s a heaven for pets, too. You’ve also written prose, a book of short stories called Summer Cars (2014). Do you enjoy writing prose? Does a story start like a poem that couldn’t be contained? Is it nice to have all those extra words at your disposal? I imagine writing a poem is more difficult, somehow. Oh, for me, writing poetry is far easier. So much less typing! But you’re right, “Summer Cars” was originally a poem that could not be contained. I kept getting ideas—what’s the story of each of those lovely cars that emerge up north in May, nosing up to the stop signs? I would like to write more prose, certainly, and maybe if I drink enough coffee, I can sustain a narrative more easily and keep my fingers hovering over the keyboard. Do you routinely write from a particular desk? If so, what’s on your desk right now? Desks are so serious and intentional. Sometimes I feel like I have to sneak up on a poem, which is hard to do sitting at a desk. I’m a bit like an old hound looking for a quiet place to curl up. A dog with blank paper and a pencil, and one eye half-open, sniffing for a poem on the air. I’ve had wild dreams and I was irresponsible as a kid, but actually I’ve gotten very boring over the years. I think maybe the wildest thing was climbing Longs Peak in Colorado, 14,280 feet, in tennis shoes with a peanut butter sandwich and a tiny plastic canteen meant for a child. I was 18. What could go wrong? It was just a hike, right? It was my pleasure, truly, and a great, great honor.